This controversial book argues that 20th century psychotherapy has been fundamentally characterized by serious disagreement on views of human nature, treatment rationales and goals. Focusing on the differences rather than the commonalities in therapy, eight eminent practitioners demonstrate the diversities in therapies and why, for the most part, it is not possible to tolerate or integrate with other approaches. 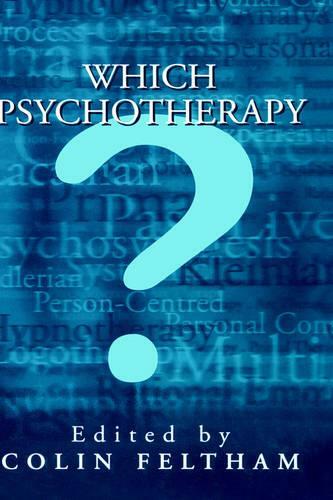 Each therapist highlights the distinctive properties of his or her orientation, and discusses questions such as: why and how they came to found, adapt or choose the approach they currently practise; what criticisms of the approach they consider to be valid; which approaches they consider to be ineffective, misleading or dangerous, and, conversely, more promising or effective; why their approach is more effective or comprehensive, and why it may be more suited to certain clients or client problems; and how they account for research which suggests that no one approach seems more effective than any other.